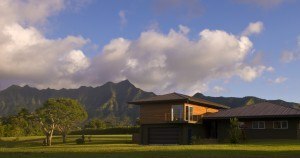 If you love clean, crisp, contemporary architecture and have been looking for something different in the Hawaii real estate market, then one of these stunning homes on the North Shore of Kauai may capture your heart and excite your sense of style. A complete makeover has transformed this beachfront home into a work of modern art. 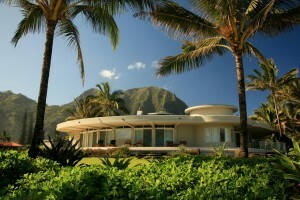 The main architectural feature which makes this home so visually appealing is the combination of a flat horizontal roof line with a smooth radius exterior that wraps around the oceanfront setting. The effect is an uninterrupted and dramatic facade which affords privacy to each of the interior living spaces. 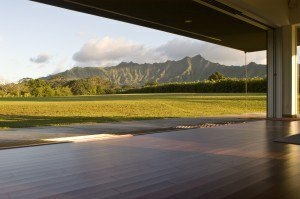 Being situated on one of the most secluded and pristine beaches on the North Shore of Kauai adds to the mystique of this contemporary masterpiece. 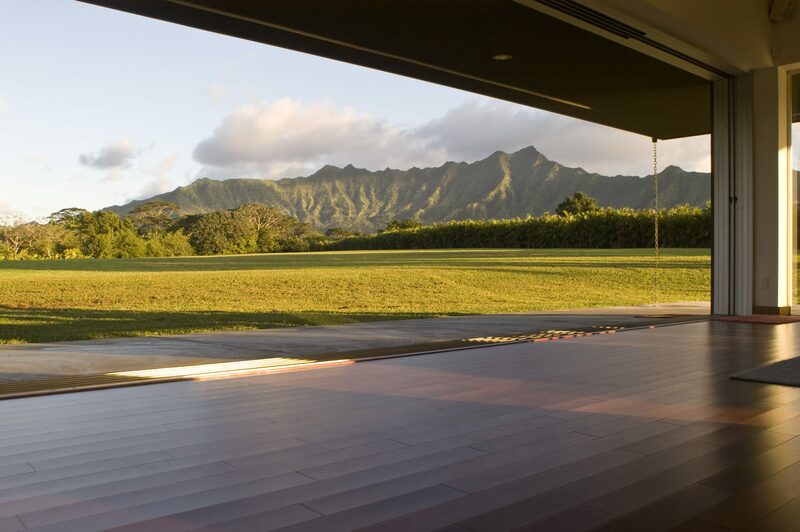 Quick access to world-class ocean sports, renowned Tunnels Beach, and the Na Pali Coast put you right in the heart of nature. More information about this property. 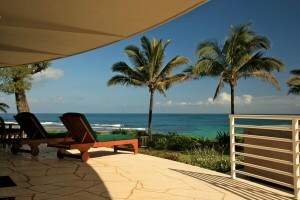 This fantastic home is nestled at the foot of Mount Namahana in Kalihiwai Ridge Estates. Designed and envisioned as a contemporary adaptation of traditional “Plantation Style” architecture, the home blends a bit of the old with a healthy dose of the new. Detailing is clean and simple inside and out. The great room lives up to its name with expansive high ceilings and large pocket doors creating a seamless transition from indoors to out.